Flushing pheasants, good dogs and great times. Nestled in the hills of south central New Hampshire, New England Upland is a licensed hunting preserve offering up experiences like they used to be. Upland hunting for club members and non members of the wingshooting community. Find out more about member & day hunt services. Want to become a member, book a day hunt , arrange for a lesson or private function? Contact us so we can tailor an experience that exceeds your expectations. Welcome to New England Upland Shooting Preserve. 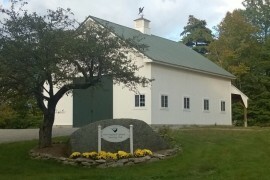 lush green fields, mountain views, upland cover and flushing pheasants, partridge and woodcock are a few of the things you'll experience at New England Upland. We are your quintessential New England hunting / wing shooting preserve dedicated to providing you with experiences as they were meant to be. We believe in preserving the tradition of upland bird hunting, the bond between dog and handler, promoting the sporting life style and the creation of lasting memories of time spent with friends and family in the field. We provide quality game bird hunts from September 1st to the end of April and birds for dog training , trials and pre season tune ups from May through August. You don't get that opportunity anywhere else in New Hampshire. Come on up to the farm and experience New England game bird hunting as it was meant to be. Set your sights on something greater. Your dog will not be disappointed. You can use the birds for puppy training, steady to wing and shot or anything else that requires live birds. Pull out your favorite smooth bore and come experience Olde World shooting followed by a feast fit for a King , a post meal walk up hunt, or dram in the club house to round out the day. We have spots available for our for our February 16th shoot. It will be a Mardi Gras themed shoot and will feature Cajun turkey and New Orleans sides. We are now able to offer guided hunts for Turkey, Bear, Deer, Coyote and Moose. Hunter must possess a valid NH hunting license for all game pursued. Contact us if you are interested in booking a guided hunt for any of the species listed above.